The ruling Nationalist Democratic Progressive Party in Nagaland stressed the need to combat corruption and money power in elections, address electoral malpractices and the need to use technology to ensure free and fair elections. Addressing a meeting of all recognised political parties of the country convened by the Election Commission of India in New Delhi on Monday, NDPP secretary general Abu Metha said the EC is an institution that is trusted and has done the country proud as a body that has constantly strengthened the foundations of democracy. The meeting was also attended by NDPP general secretary Rusemtong Longkumer. The party lauded the ECI for conducting the meeting which deliberated on issues related to reforms. On the issue of women representation in the political arena, the NDPP stated that its constitution commits to strive towards gender equality and that it would support measures aimed at introducing gender related reforms in the political arena. The NDPP also highlighted the need to use technology and biometric related measures to combat electoral malpractices like proxy-voting and accuracy of electoral rolls. 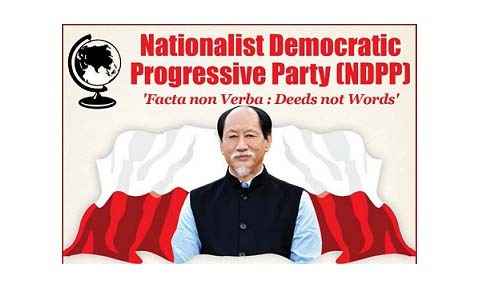 The release said the NDPP was the only political party from Nagaland to address the all-party meeting. It appreciated the ECI for recognising all sections of the country especially the small states and ensuring that the voices of the people are heard through such forums. The NDPP assured the ECI to continue to support and extend all possible cooperation to it in the common endeavours of strengthening the foundations of the world’s largest democracy.